In 1974 the Mariner 10 spacecraft flew past Mercury and obtained detailed images of the planet's surface, but only giving coverage of one hemisphere. To this date, the rest of the planet's surface has yet to be observed. 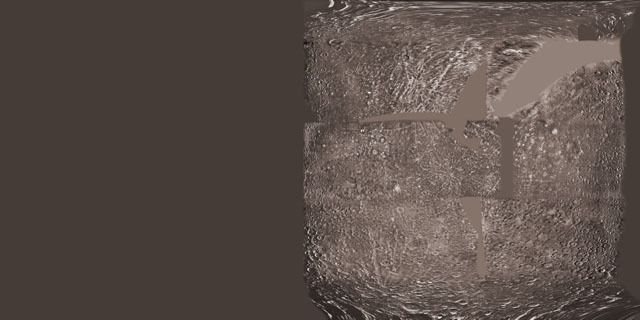 Planetary Visions has processed and assembled the Mariner 10 images into a mosaic - a mosaic which is the highest resolution available today and is visually superior to an artist's impression.